First Immanuel has dedicated members and small groups who are actively involved in supporting the organizations and programs below. We know there are many others among us who feel called to give back in the local community and neighborhood. Have a look below at these special ministry partners and CLICK on the Volunteer! link to jump into making a meaningful difference in the lives served. The Goose Hollow Family Shelter, located at First United Methodist Church, is a night shelter for 8 homeless families with children. Families are able to stay at the shelter for about 30-60 days while they work towards opportunities for permanent housing. Services offered include: Sleeping space, dinner & breakfast, showers/laundry, computer access, enrichment for children, clothing & supplies. First Immanuel currently volunteers on the 1st Monday of each month. 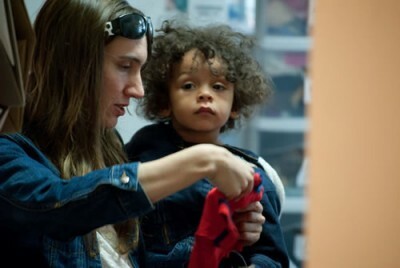 We provide a healthy meal, kid time hosts, and helping hands for duties such as set up, laundry, and donation sorting. Anyone may sign up to bring a meal item, but a one time orientation session(1 hour) is required for other roles. ​LIFT Urban Portland aims to reduce hunger and improve the lives of low income residents of Northwest and Downtown Portland. The food pantry operates out of the lower level of Sodergren Hall at First Immanuel. Food Pantry donations are always needed-- just bring them to worship or the church office. Thanks! Rose Haven is a sanctuary from the street, offering compassion, practical assistance and community to women and children facing loss of home, abuse and other disruptive life experiences in Portland. Rose Have operates out of the lower level of Sodergren Hall at First Immanuel. Donations may always be dropped off at First Immanuel.